That was the TRNC week that was! 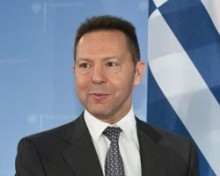 Administration however Greek Cypriot Spokesman, Stefanos Stefanu is avoiding declaring a date or time. The Greek Cypriot Newspaper Filelefteros stated that Troika is not happy with the measures that Greek Cypriot Administration proposed and they are bothered by the criticisms of Greek Cypriot Administration Leader, Dimitris Christofias. The newspaper also mentioned that South Cyprus is losing hopes for the decision which will be taken in a Euro-group meeting discussing Greece and Spain. It was underlined in the news that this would create a crisis in South Cyprus as they only have enough money in their budget to pay next months salaries. noted that the proposal is a ‘dangerous’ proposal to raise the status of Turkish Cypriots’. The newspaper underlined that the above mentioned mechanism is normally applied for the countries which are candidate to EU membership and this opens a door to Turkish Cypriot people to be in the same category with the member states. were American passengers on the ship which belongs to the New Face Co. The ship which departed from Egypt for a Mediterranean cruise tour also visited Girne port after the Gazimağusa port and left the island two days later. 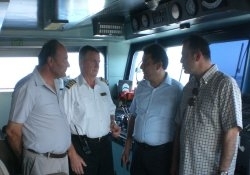 Minister of Public Works and Transportation, Ersan Saner has said that the efforts they have spent in improving the cruise tourism has started to yield positive results. Saner said: “these efforts shall provide major contributions to improve our tourism. I thank the New Face Company which has visited our country in response to our call at the international conferences”. 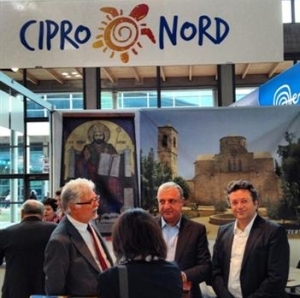 It was reported that TRNC participated in tourism fair ‘TTG Incontri Rimini’ for the first time which was held in Italy. According to the information given by the Ministry of Tourism Environment and Culture, TRNC was participating in this fair via tour operators before this event but this time, TRNC took its place in the fair under the name of ‘ North Cyprus’. TRNC’s special interest tourism was introduced in the fair which was held between 18-20 October in the Rimini city of Italy. Many brochures were distributed regarding religious sites, diving, birds and nature walks in the TRNC. Tour operators from 130 countries, travel agencies, hotels, transportation companies and a total of 2,400 companies from the media also participated in the fair. 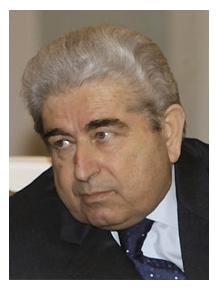 Greek Cypriot administration Dimitris Christofias has blamed in particular former Director of Greek Cypriot Central Bank, Greek Cypriot assembly and even press except his government for the economic crisis. 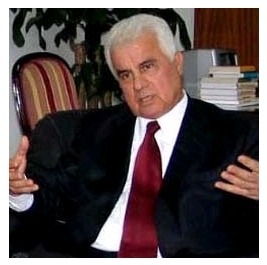 The newspapers stated that in an activity Christofias made a speech and blamed the banks which wanted to earn excessive profit and the former Director of Central Bank who knew that the banks purchase bill of exchange of Greek banks at the threshold of crisis for the economic crisis. According to the news, Christofias pointed out that moreover he has prepared a measures package and sent it to the Assembly in May, but opposition parties caused delays by refusing the package and he also blamed the press for publishing the realities concerning economic crisis and the operations of the government limitedly. credit they are expecting cannot be given, then people in Greece will be starving. Minister Sturnaras gave a speech in the Parliament and said that unless they get 31.5 million Euros credit, the country will be in great difficulty. The discussions for the request for credit are still continuing between the European Commission, Central Bank of Europe and the IMF. President Eroğlu pointed out that there was no solution based will in the South Cyprus and added that they were waiting for the new Greek Cypriot Administration leader in order to restart the negotiations. President received the Church Group representatives who came from Germany. that people from different religions can worship freely and also the Greek people in the South were allowed to worship at their churches in the TRNC. Touching upon the negotiations in the island Eroğlu said that the Turkish Cypriot side was in favor of a solution and put this forward during the Annan Plan process however a solution was not reached due to the refusal of the Greek Side. Greek Cypriot Administration and sent to Troika for consideration by the EU Support Mechanism. Some of the measures that are in the package do not include the removal of the 13 month salary and sliding scale of wages. 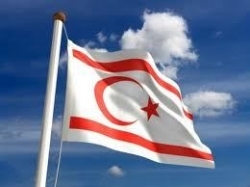 Greek Cypriot Air Controllers cite TRNC as an example in front of the losses they have incurred due to the various measures taken by the Greek Cypriot administration. information document including their common opinions concerning the problems they experience to the Greek Cypriot political parties. The newspaper stated that the controllers stated that by the Greek Cypriot government keeps the taxes collected from the airplanes on the ground of supporting the tourism under EU standards and added that for this reason, any progress has not been made in the institutions. 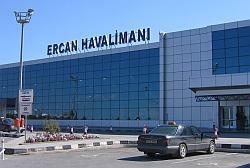 The controllers stated that new meteorology radar which will ease the works has not been purchased and 55 controller vacancies were cancelled, and emphasized that despite this, TRNC continuously modernizes its air traffic services with the help of Turkey and it offered help to South Cyprus which cannot control air space alone. TRNC, local administrations of the two countries have started to establish cultural and social relations. 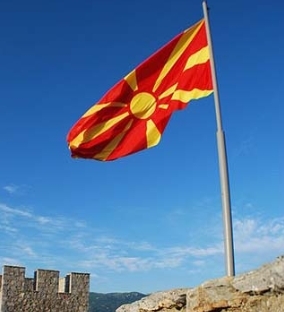 Mayor of Tatlısu Municipality Hayri Orçan visited Macedonia in order to sign the “sister municipality” protocol with Çayır and Radoviş municipalities.